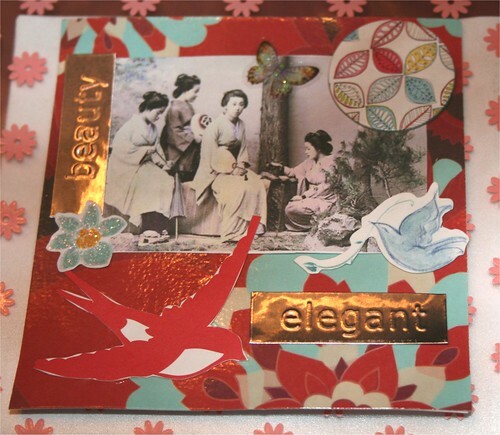 Beauty & Elegance 4" x 4" Collage, originally uploaded by DianthusMoon. I love when things work together. The background card was sent to me and I had the little circle kicking around my desk for a while.